One of the fiercest competitors in the NBA today, Draymond Green is also a matchup nightmare for any team. Able to play and guard any position on the floor, Green is an NBA champion, 2x NBA All-Star, and a 2x NBA All-Defensive First Team selection. 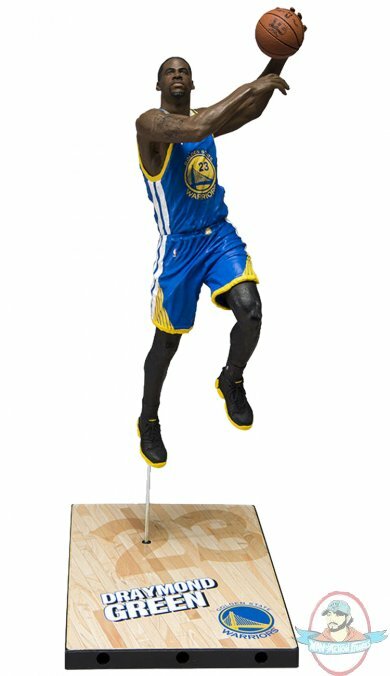 Figure stands 7 inches tall and comes in Golden State’s all new 2017-2018 road uniform.